This tool can fit our sleeve. 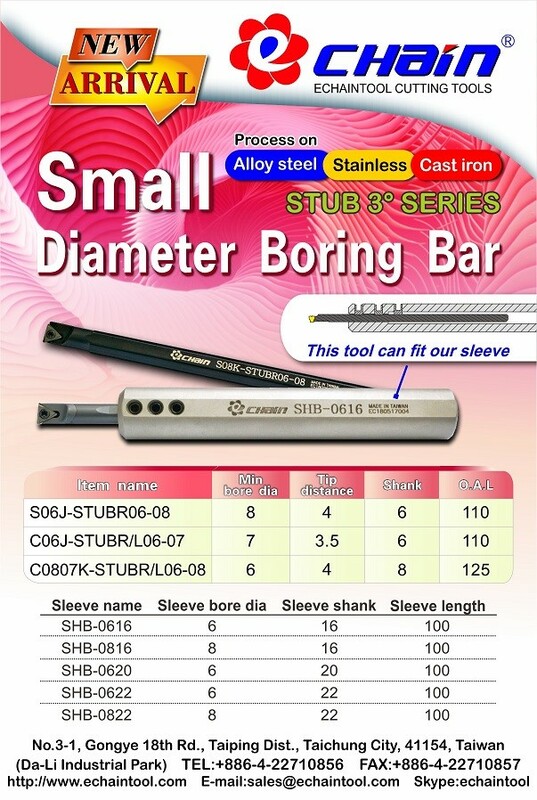 The insert of STUB 3°mini boring hole boring bar is TBGT060204. About the Sleeve, Sleeve with coolant system is also available.